A new category of toys are firmly gaining popularity: Connected toys are changing what a toy is and what a toy can do. Through interviews, workshops, experiments, mockups, and prototypes, this thesis explores what a connected LEGO play experience could look like. The outcome illustrates such an opportunity with an concept toy that might inspire kids to stay physically and socially engaged. 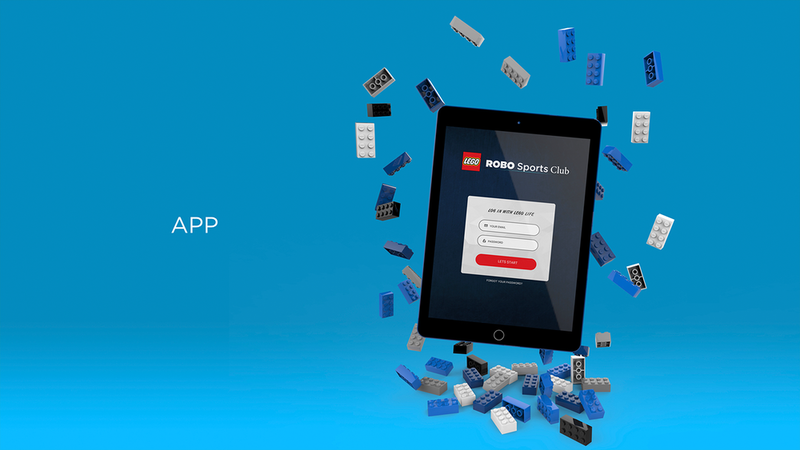 The LEGO Robo Sports Club is for kids in the age of 8-12 years. It combines a sports wearable and an app with a LEGO robot that the kids build and rebuild as the play experience unfolds. The concept is based on collaborative social play where the kids play synchronously and asynchronously. It requires the kids to be physically active and socially engaged - online or in real life - to get the most out of the game. The aim of this project was to explore connected play together with LEGO. Interviews and play sessions created the foundation of the project. The play sessions with kids were conducted in the kids own playrooms. In the play sessions, the kid's toys and play were in focus. Experts in toy innovation, play and social play was interviewed with the focus on their personal experiences with toys, play and connected play. The project is grounded in the human centred design process, and the work includes workshops, experiments, mockups, LEGO building, sketching with video and prototyping. When buying the LEGO Robo Sports Club, the box includes a core block. This core serves as the central part of the model. The kids can build attachments with the LEGO bricks and attach them to the core block. The wearable holds three power bricks. 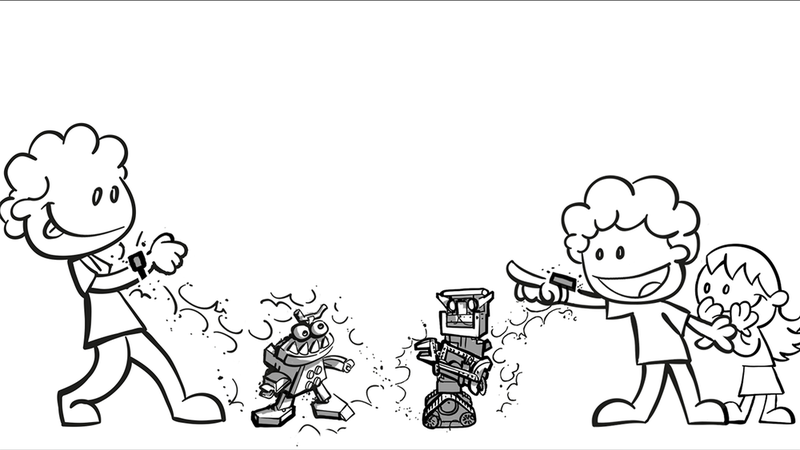 These powers are used in the games. They determine what move a child can do with their robot. As the kid is playing, the wearable tracks the arm gestures of the child. 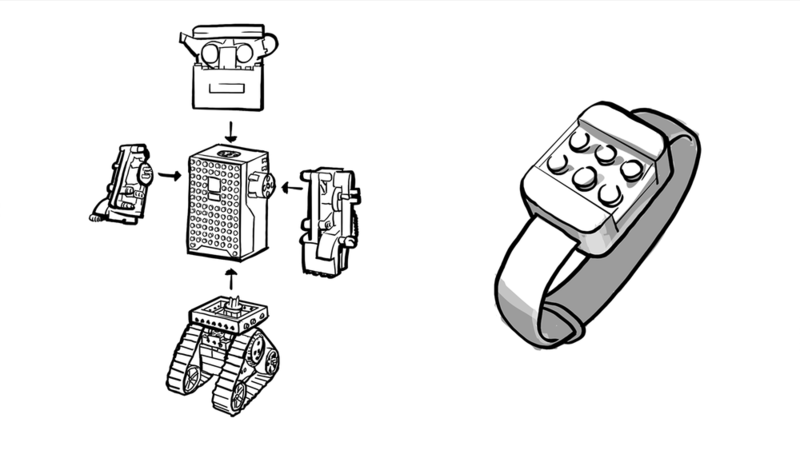 The mobile app connects the LEGO robot and the wearable. In the app, kids choose from different sports games.